My boyfriend and I were out for a walk with our dog, Teegan, at the Conservation Area here in Kingston, Ontario. We had taken bird feed with us so, while he was busy with our dog, I had put some birdseeds in my left hand and had the camera in my right hand. 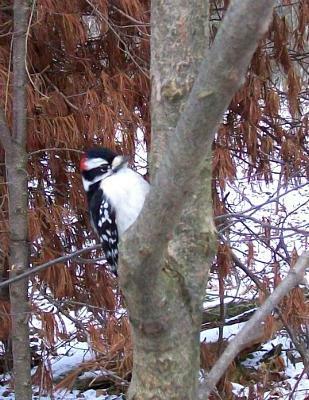 To my surprise when I looked up at one point there was a Woodpecker in the tree not less than 3 feet away from me. 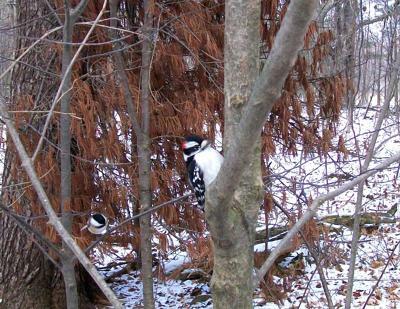 Thanks Mary Ellen, our readers enjoy seeing photographs of Ontario Wildlife!